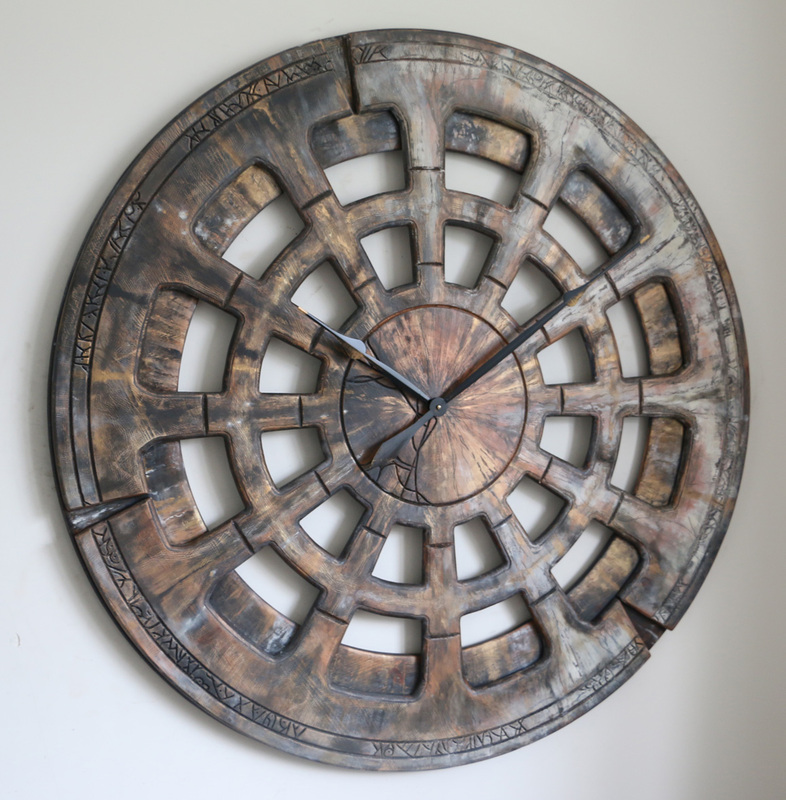 48" Giant Clock For Wall. Perfect Centrepiece to Your Living Room. 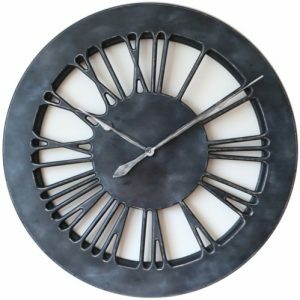 Unlike thousands of similar looking timepieces available online, this giant clock for wall is designed to make a statement. 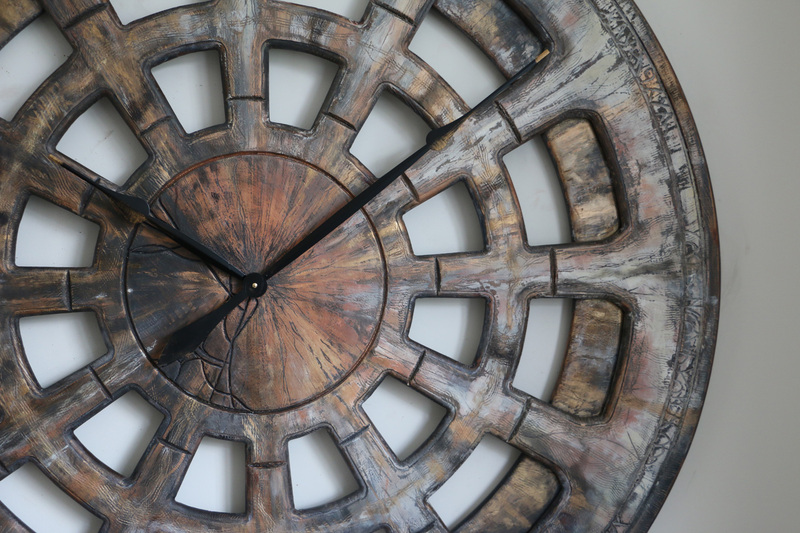 People looking for 48″ clocks need something more than just time telling devices. 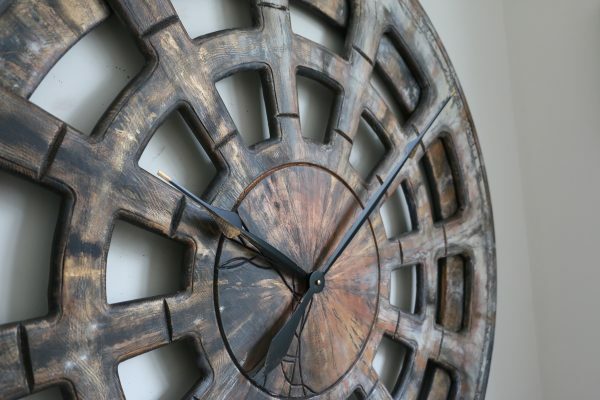 We designed this piece to have similar shape to another extra large clock from our collection. Many buyers are interested in alternatives to traditional Roman Numeral Clocks. This is why, we think it will suit those of you that prefer more original and unique shapes and colors. 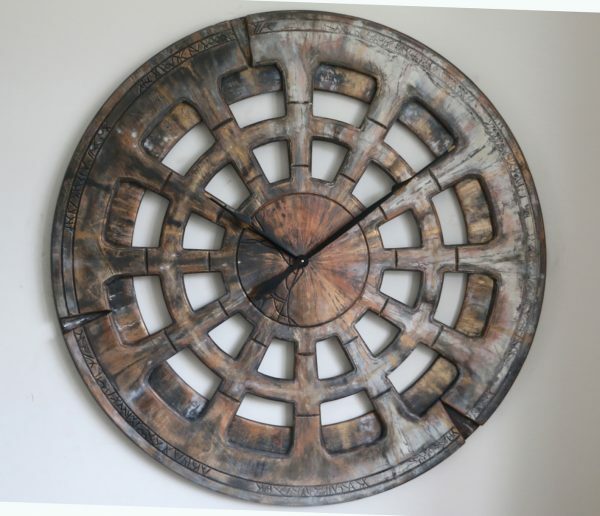 Many of our customers looking for a giant clock to fill their empty wall space want something that really stands out. They aren’t interested in massive but flimsy timepieces that are cut from cheap MDF. They also don’t want another metal skeleton wall clock offered by hundreds of suppliers. 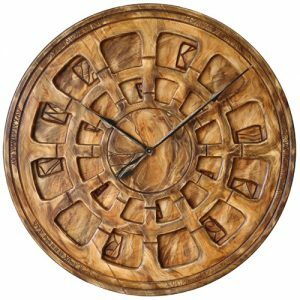 Those customers are looking for giant wall clock that makes a statement. 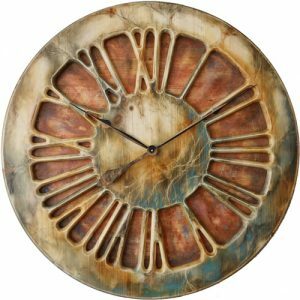 They want a large timepiece that will add a touch of luxury to their living space. 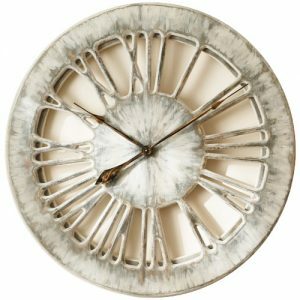 The difference between Peak Art Clocks and all other suppliers of large wall clocks is our approach to customer requirements. We don’t simply offer off-the shelf products but talk to our clients to understand their need much better. If someone decides to buy a giant clock it is pretty obvious that the main purpose is the “wow” factor it provides. People wouldn’t need 48″ wall clock just to tell the time, would they? This is why we can offer bespoke designs that are based on specific customer needs. 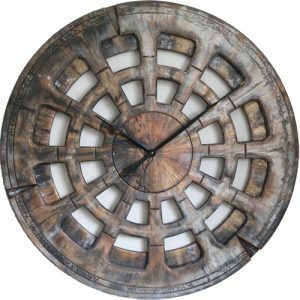 Although we originally designed this massive clock at 48″ we can also make smaller sizes available from the drop-down list. The handmade nature of our work means that no two clocks are ever identical but this is also our greatest strength. When you decide to back order one of our giant wall clocks they will be as similar to the photographs as possible.